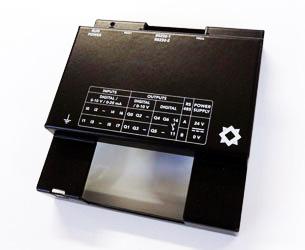 The front Lexan or polyester double-sided tape 3M 468 and MP-467MP is made with your measures and are placed perfectly on your boxes, consoles, industrial machines, keyboards, displays, front panels, etc. Lexan™ is a resistant label composed of a polycarbonate sheet and a double-sided 3M. 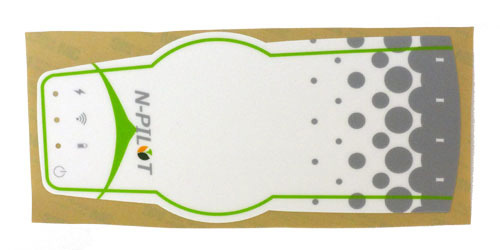 We produce these customized labels in a very short time. We commonly call "Lexan™" a flexible label of transparent polycarbonate sheet and a double-sided 3M. Printing is done between the polycarbonate sheet and the double-sided 3M and is therefore unalterable. These labels are made bespoke and fully made up in our workshop within an average of less than one week. Lexan™ is a registered trade mark became common name. This is a complex consisting of a polycarbonate sheet (transparent or translucent) and a double-sided adhesive 3M (468MP / 467MP / 9472LE). The manufacturing process is as follows: we take a Lexan sheet on which we screenprint up side down and the back of the sheet. Always on the back, we apply the 3M 468 or 467 mp adhesive. The ink is found trapped between the adhesive and the Lexan, printing is completely protected. If necessary, we replace the polycarbonate by polyester that offers more resistance. These labels are then cut in numerical control. We manufacture soft front panels (semi-rigid, easy to install) fully in our workshop and an average of 2 to 4 business days. Lexan is one of the main components of the front panel. Ranging from 5 to 15 mil (125-375 µm) thick it is grainy or smooth shiny appearance. We also work in polyester 150 microns. The choice of Lexan™ (polycarbonate) is critical in achieving the front panel. We have these polycarbonate sheets in different thickness (125 microns, 175 microns, 250 microns and 375 microns). There are 3 different surface finishes: grained (mat), embossed (slightly shiny) and smooth (totally glossy, polished). We also have 150 microns polyester gloss grained appearance. Refers Lexan™ polycarbonate sheet used for making the front panel. We work Lexan™ in four thicknesses: 125 microns, 175 microns, 250 microns and 375 microns. There are 3 types of surface finish: Lexan 8B35 (grained matte), Lexan 8A35 (grained gloss), Lexan 8010 (shiny smooth). Replacing polycarbonate, and to ensure more resistance, we use polyester Autotex V150 (glossy grained appearance, 150 .mu.m). We have all of these items in stock, so we can produce quickly. 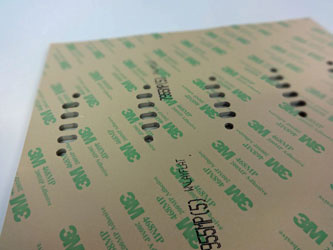 The role of the 3M adhesive is to allow a good and strong adhesion to the front panels of its support. 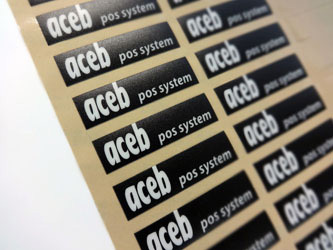 We work with 3 3M adhesives ranges: MP 467 / MP 468 and 9472LE. To ensure good adhesion of the front panel it is very important to use the proper adhesive. We work with references MP 467 (60 microns) and MP 468 (130 microns). 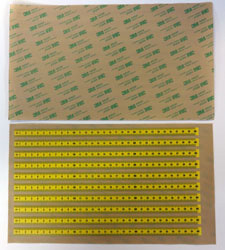 We also have in stock the double-sided adhesive 3M 9472LE (300LSE). All faces before we produce are glued on the back by a double film faced only 3M. 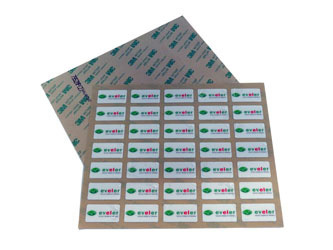 The choice of the adhesive is an important step in the design of the front panel. All front panels we produce are bonded with 3M products. 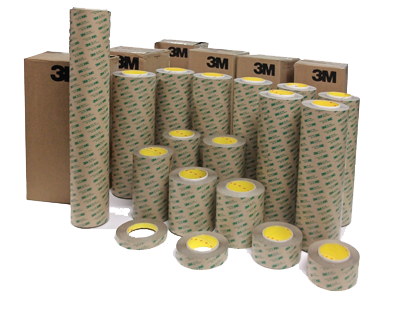 We use the most common 3M MP 468 (130 microns thick) or adhesive 3M 467MP (60 microns thick). The adhesive used on these two products is the same, only the thickness varies. On a smooth surface the adhesive power is substantially the same in contrast to textured surfaces it is advisable to use double thicker side (468 MP). In some cases, it is necessary to use double face yet more powerful than the 467 or 468 MP, we then use 3M 9472LE has a strong adhesive power. Our stock consists of all these references in rolls or sheets to best meet production constraints. This operation carried out in CNC allows us to perform drilling and cutting of the front (Lexan™ and 3M™) with an accuracy of +/- 0.025 microns. This operation is performed from a vector path by one of our two ARISTOMAT cutting tables. With an accuracy of +/- 0.025 microns we perform the cutting of the front panel. Upstream of this work, the 3M double face is prepared and cut into CNC. This is performed by one of two tables ARISTOMAT we have. This is not laser cutting but said trimming "knife". Industrial screen printing (or silk-screen, screen, serigraphy, or serigraph printing) is the most appropriate technique for printing lexans. It offers strength and durability than many other printing processes. 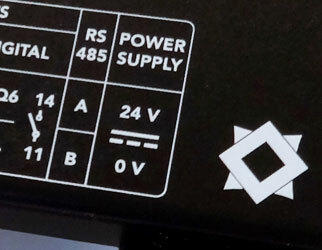 The industrial screen marking is the most appropriate technique for printing front panels. The inks used are designed to ensure a perfect fit on the polycarbonate or polyester and offer a wide range of shades of colors (Pantone, RAL or any color of your choice). Screen printing allows among others to print white color. 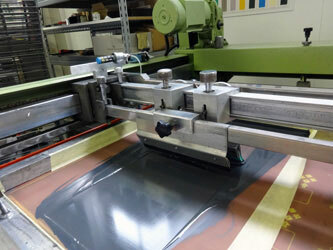 Industrial screen printing is a printing method for performing a marking on different materials. This technique requires the production of a printing screen which is the main tool of the screen printer. The display is similar to a stencil, through which ink passes to print the carrier placed below. The advantage is to use the appropriate ink to the support, in the case of the front, we use solvent inks that will melt the plastic and allow good cohesion of complex polycarbonate (or polyester) + layer ink + 3M. Screen printing files a relatively thick layer printing, screen-printed colors are bright solid color, dense. We can reproduce RAL and Pantone, print white, metallic stains, varnishes transparency (for the displays). Did you thought about it? 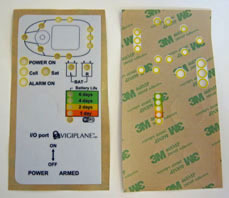 Instead of coming Lexan add a piece it may be possible to screen printing or pad-printing direct the piece in question. Do not hesitate to ask us, we will advise you. "The professionalism of the Craft Industry in service!" AGS company has specialized for over fifty years in the industrial and advertising marking and production of faceplates on tailored Lexan. Our screen printing workshop is supplier of the largest companies (local, national and internationnal), as smaller structures (designers company, electronics, mechatronics, engineering offices, manufacturing workshops) in the fields of aeronautics, medical, defense, as well as rail, electrical and nuclear industries, agricultural machinery, special machines, and so on. ).